Okay...so in my last post I was telling you how I am already planning for the next planting season...right?!! I know...I know... I live here in Wisconsin and I will be lucky if I can start planting outdoors by April, but...I am growing microgreens with students inside in January...with whoever wants to plant with me at recess...I will have a TON o' kids...who wants to be outdoors when it is too cold! Not me! Well, I got so excited about some of my new book purchases that I had to create a bee unit for this school year...in and out of the garden. Where would our garden be without the bees? SO...Happ"Bee" New Year...Here is a FREE"BEE" for you! 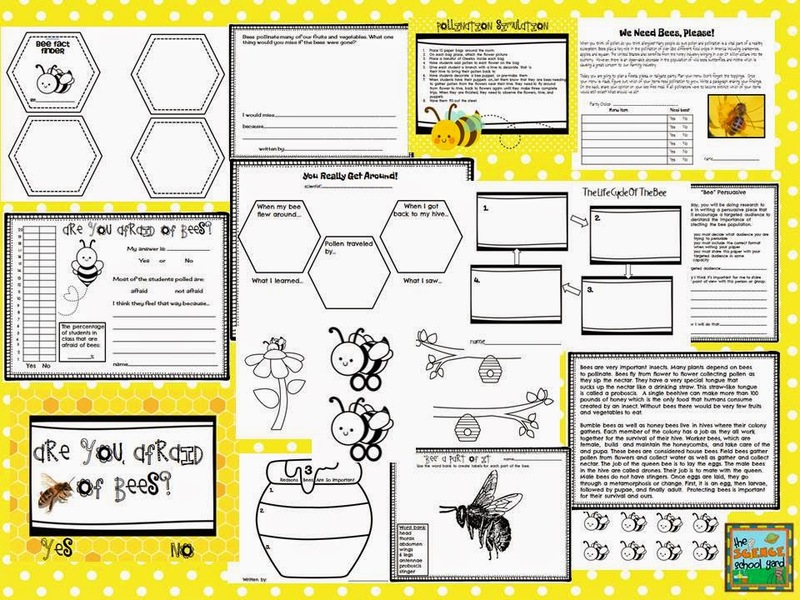 You can find the FREE"BEE" HEREor at my Science School Yard TPT Store!